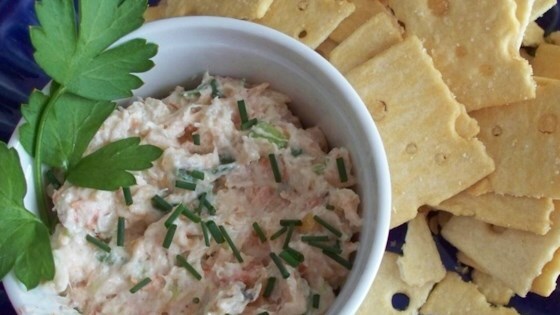 "This creamy shrimp dip is great with chips, crackers or bread. It's always the first thing to go at any party!" In a medium bowl, mix together cream cheese and mayonnaise. Mix in onion, celery and shrimp meat. Cover bowl, and refrigerate before serving. I add couple tblsp of chili sauce,and 1 tblsp horseradish and buy the canned shrimp and chop up, very very good. Every time I make this everyone wants the recipe. So easy and tasty.